Whether it’s 1, 10, or 10,000 employees, RJB Tax Associates can effectively manage your payroll. Instead of worrying about IRS regulations, fines, and tax implications, trust an accounting professional to handle your business’s payroll. We ensure that all necessary withholdings are made, taxes are paid on time, and your employees are properly compensated. We also work with your business to develop a payroll schedule that works for you. 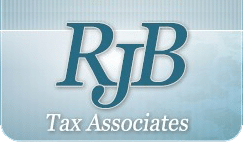 RJB Tax Associates works to understand your business needs, including the diversity of your staff, your financial goals, and your standard operating procedures. No two businesses are identical, so we work to learn your business and build a custom solution. From remote workers across the country to individual branches and franchises, we can develop a custom payroll solution that works with your business.